The iconic shape of a muffin ‒ inspired by the simple geometric shape of the famous American cake mould has reutilised in the“ Muffin Lamp” floor lamp. 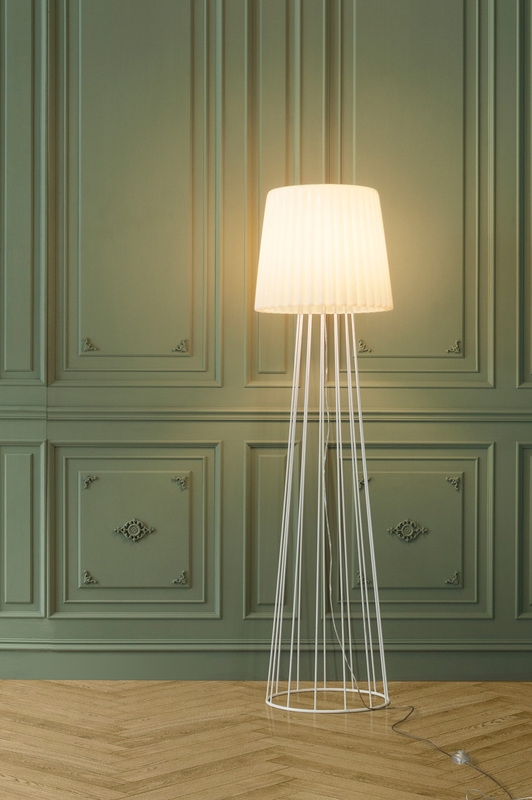 The lampshade features a beguiling drapery effect that generates a bemusing game of shadows, giving the light more depth. Muffi n Lamp is available in matt white.